In addition to the rise of organized crime in America, the Prohibition Era is also responsible for spawning the gangster film genre. Our “Hollywood Hoods” series explores three early gangster genre hits and discusses their foundation in reality. Each event includes an introduction by True Crime Historian Richard O Jones and a post-screening discussion of themes, motifs and impacts. 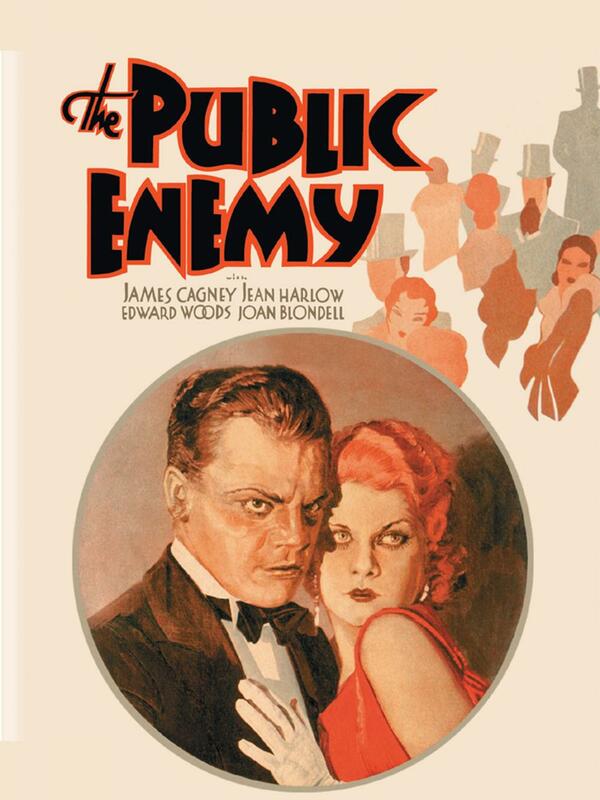 Our first featured film is 1931 classic The Public Enemy (83 mins), starring James Cagney. Although he rose to prominence as a song and dance man and starred in many romantic comedies, James Cagney came to typify Hollywood’s American gangster. The Public Enemy is the film that started it. Made from an unpublished novel by two of Al Capone’s thugs, the characters are based on real people.